When Justin Bieber was first discovered through his YouTube channel in 2008 by Scooter Braun and Usher Raymond, nobody would have guessed what an impact he would make on pop culture and music around the world. The little boy is growing up into a man, and is making young girls as well as grown women swoon over his voice and his bangs. This Canadian icon can sing, dance, play piano, guitar, and drums, and is now earning himself quite the reputation as a heartsick pot-smoker, whipping around L.A. in his fancy Ferrari and causing quite the stir amongst the paparazzi community. Now, you can catch the young hunk when he heads out on the second leg of his “Believe” tour, which kicks off this weekend at the EnergySolutions Arena in Salt Lake City, UT. After that it’s off to Denver for a show at Colorado’s Pepsi Center, before heading to Tulsa, OK, for a gig at the BOK Center. With a capacity of around 20,000, this venue is sure to make a nice home for the Beebz when he heads there on January 9. 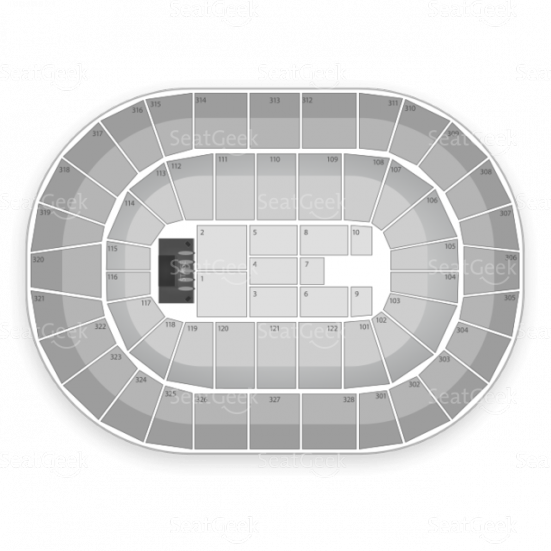 Check below for all the SeatGeek details! The BOK Center, or Bank of Oklahoma Center, is a multi-purpose arena home to football, hockey and basketball games, and concerts. The $178M facility officially opened on August 30, 2008, when Garth Brook and Hanson took the stage after a ribbon-cutting ceremony. It holds between 13,000-20,000 people, depending on the event, and is filled with food and drink vendors, and most importantly has almost 40 bathrooms. Not like most Justin Bieber fans can legally drink anyway, but hey. Justin Bieber will perform at the BOK Center in 2013.